To the surprise of no one, the ECB left it monetary policy and its forward guidance unchanged from its last meeting. Then it announced that its asset purchases would be halved starting in January to 30 bln euros a month through September 2018. The ECB reiterated that official rates will be remain at their present level well past the end of the net asset purchases. It also continued to shy away from giving a hard end date, which some of the creditors reportedly previously advocated. It indicated that QE would continue until the end of September, but will "run until the inflation path is sustainably adjusted. The ECB statement shows that the majority want to underscore the link between QE and economic conditions (inflation) rather than time specific that a pre-announced end date would imply. 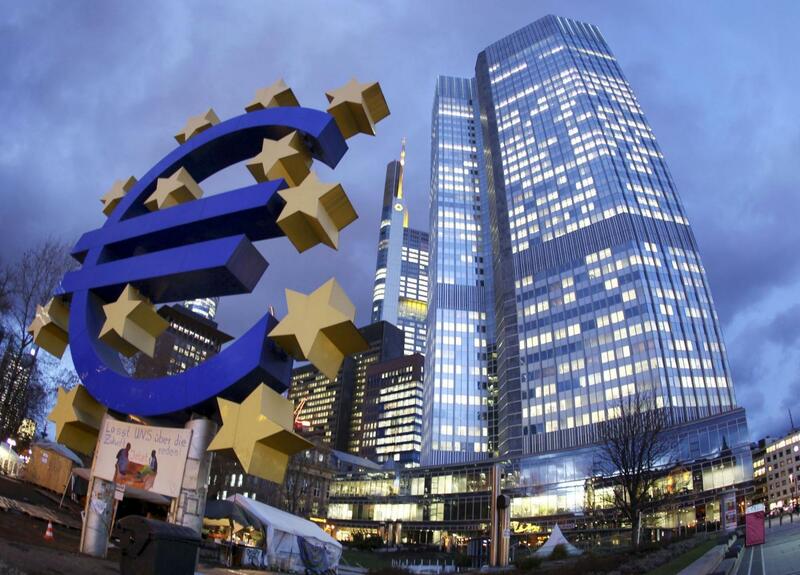 The ECB sees domestic generated price pressures as continuing to be "muted." This means ta sustained uptrend in price trend remains elusive. This, in turn, justifies the of continued ample accommodation and continued purchases of assets. Draghi did not provide new insight into the composition of the purchases. The ECB's staff forecast raised growth forecasts "substantially" and made minor adjustments to its inflation projections. Turning to growth first, the staff raised this year's GDP forecast to 2.4% from 2.2%, and next year's growth was raised to 2.3% from 1.8%. The GDP forecast for 2019 was raised to 1.9% from 1.7%, and for the first time, introduced a 2020 GDP forecast of 1.7%. The forecast suggests growth momentum is peaking or will peak shortly. The minor adjustments mean that this year's inflation forecast was unchanged at 1.5%, while raising next year's projection to 1.4% from 1.2%. The 2019 forecast was left unchanged at 1.5% and the 2020 forecast, introduced for the first time at 1.7%. Draghi shied away from concluding whether the path of inflation project meets the "sustainable" condition. He did warn that while growth may still surprise on the upside, price pressures may ease in the coming months due to the base effect as the past rise of oil prices drops out of the year-over-year comparison. The euro initially rallied to new highs for the week of almost $1.1865, but the intraday technical readings did not confirm the move. It quickly reversed. A move below the $1.18 area warn of the risk of a false upside break.